Julian Motau was born to an elderly father with several traditional wives and a host of children, and grew up in a rural homestead in Tzaneen in Limpopo Province. Motau was almost entirely self taught, and in Tzaneen barely received any education at all in the western mode. In 1963, brimming with talent and burning with the anger that was to find expressionist articulation in his work, the young Motau arrived in Johannesburg, where his special qualities were recognised by the artist Judith Mason, who gave him a space to work and some informal instruction, as well as introducing him to the gallerist, Linda Goodman (Givon), who gave him his first one-person show in 1967. Also in 1967, he won first prize on the New Signatures Exhibition in Pretoria, and it seemed that Motau had arrived. But one year later he died at the age of 20 in Alexandra Township, Johannesburg. Strongly influenced by the uncompromising expressionism of Dumile Feni (qv. ), Motau’s own artwork is remarkable for its intensity of expression and the anger which comes through in its choice of subject matter as much as the Dumile-esque rendering of theme. Motau has been hailed as marking a new politicisation of township art, but while there is some truth to this, the work remains too unruly and too unformed to constitute much more than an interesting beginning, tragically curtailed. Born Tzaneen, Limpopo Province, 1948: died Alexandra, Johannesburg, 1968. Training Self-taught as an artist, with some mentorship from Judith Mason. Exhibitions 1967: Solo exhibition, Goodman Gallery, Johannesburg; New Signatures Exhibition, South African Association of Arts, Pretoria; Group show, Israel. 1968: Memorial Exhibition, South African Association of Arts. 1969: Contemporary African Art, Camden Arts Centre, London. 1970: The 51 Club Winter Art Exhibition, Goodman Gallery, Johannesburg. 1971: SA Graphic Art, Holland, Belgium, West Germany. 1979: Art from SA/Art from Soweto, West Germany, touring. 1978–9: SA Graphic Art – 1977, West Germany, touring. 1981: Black Art Today, Jabulani Standard Bank, Soweto. 1985: Tributaries, Africana Museum, Johannesburg. Awards 1967: First Prize, New Signatures, Pretoria. Commissions 1967: Five paintings for a church in Welkom, Free State, commissioned by Anglo-American Corporation. Collections Iziko South African National Gallery, Cape Town; De Beers Centenary Art Gallery, University of Fort Hare; University of South Africa, Pretoria. 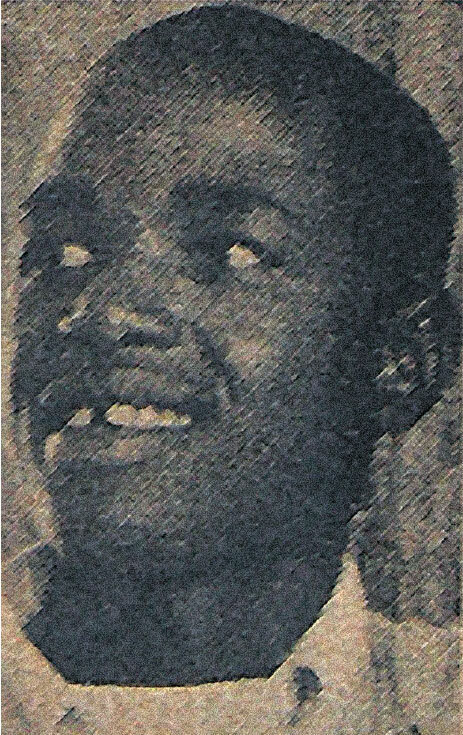 Photograph of Julian Motau. Courtesy of Die Beeld, 10 March 1968. Motau died tragically at the hands of hooligans when he was only 20, but in his short life he produced a fairly large body of work, of which some surprising examples still appear today. The recent acquisition by Campbell Smith of a wholly uncharacteristic work by him in Evening township scene (1965) is of much interest, and helps to give us insight into his early work. This painting, executed on a sheet of industrial asbestos sheeting, was painted when Motau was 18. It clearly shows the nature of his work prior to the moment when his style was galvanised and transformed by his exposure to the work of Dumile Feni (See ReVisions, pp. 174-183). Boy with rope (see frontispiece, plate 1), a drawing done in the same year as his murder, shows how his style was utterly transformed. The friable nature of this support and the dryness of the paint layer in Evening township scene were cause for concern, and required consolidation by a painting restorer. The application of a matt varnish has also helped to restore the depth of colour and give the surface a cohesive unity. Unlike most ‘township scenes’ this work is a nocturnal one, with a lowering full moon partially hidden by low clouds. A sinister red glow illuminates the horizon calling to mind the ‘satanic mills’ in the poem Jerusalem by William Blake (1757–1827). The lights burning in the windows of the contract-built rows of dark-walled houses stand out in the murkiness of a scene where the air is polluted from many wood fires.